KU launched a new online platform this term to encourage students to participate in extra curriculum activities which could help them meet new people, network and build more skills. By attending a range of activities, from playing football to learning how to write a CV, students can also earn points towards their Kingston award, a prize that shows participation in activities across all campuses that will impress future employers. KUextra was designed and built over three years with the help of over 100 students who attended focus groups and testing sessions to provide feedback. The website, which can also be found on the KU app, can be personalised by students so the activities recommended meet their needs. As well as extra curriculum activities, KUextra will also list part-time jobs and show what’s on outside campus. 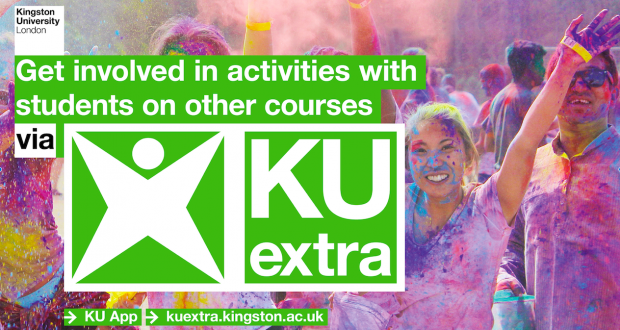 To find out more visit kuextra.kingston.ac.uk or download the Kingston University app. Why bother with Black Friday?